Surviving breast cancer is no easy business. Part of it may be early detection, another part modern medicine, another part your own will power, but a good deal of it may have also been luck. You might be able to say the same about getting pregnant after breast cancer. After all, there are so many factors at play that may affect fertility. This is not only because the “usual” cancer meds tend to wipe out egg cells along with cancer cells, but also because breast cancer often involves many of the genes of reproduction. In any case, we’ve compiled a list of the things you should keep in mind about getting pregnant after breast cancer, as well as a run-through of the treatment options and their possible effects on fertility. Finally, we will run you through some things you might want to consider to boost your chances of having a child even after breast cancer. First of all, it’s important to know that you and your doctor will be taking a look into your specific condition when considering pregnancy after breast cancer. Depending on the point of time in your treatment, whether you’ve just been diagnosed or you’re already in remission, you may have different options. These may also vary on your age, as well as what sort of treatments you’re getting. Basically, everything depends on your specific situation. No two cancers are the same, and therefore what works for some women may not work for you and what works for you may not work for others. No matter where you are in your treatment regimen, it’s important to plan ahead for your pregnancy. If you have just been diagnosed with breast cancer, for instance, you might want to opt to freeze egg cells for future use even if you don’t plan on getting pregnant. On the other hand, if you’re already done with your treatment, you might want to consider things such as a possible relapse in your plan. It’s not that you’re wishing for the worst to happen. It’s just that it’s better that you’re prepared with a well thought out decision ahead of time. Depending on the type and nature of your cancer, your doctor might recommend different treatment options. If you’re planning to have children any time in the future, you will want to talk to your doctor regarding the effects of the recommended therapy on fertility. While ideally you’d want a treatment that does not adversely affect your egg cells, there is always a possibility that the cancer may not respond to it. If you have more than one option, it’s important to weigh the benefits and risks before making a decision. Since some forms of breast cancer are extremely responsive to certain hormones, one of your treatment options might be hormone therapy. In particular, some cancers respond to the presence of estrogen, which helps them increase in size and spread. Hormone therapy basically prevents estrogen from binding to not only cancer receptors, but to receptors all over the body to prevent them from growing. Since estrogen is a hormone that is essential to ovulation, you will not ovulate during your treatment. Typically, most women who go through hormonal therapy begin ovulating again afterwards. However, some may have fertility problems afterwards. Since estrogen is primarily produced in the ovaries, ovarian shutdown is basically an inhibition of the functions of the ovaries. This prevents the release of estrogen, thereby preventing the growth and spread of certain tumors. Because of this, you will also not ovulate during the time you are under medication. Most women, will regain fertility after treatment. However, some forms of ovarian shutdown will require the surgical removal of the ovaries. The absence of ovaries will lead to early onset of menopause and, therefore, permanent infertility. Chemotherapy is basically the administration of drugs that kill off fast-growing cells in your body. This includes cancer cells, but also healthy cells such as hair follicles and even reproductive cells. Because of this, there is a risk that the chemotherapy drugs will kill off healthy egg cells and possibly trigger an early menopause, which may be temporary or may be permanent. Generally, the younger you are at the time of treatment, the better your chance of still being able to conceive afterwards. It’s also important to note that some medications are more likely to cause infertility than others. It’s best to check with your doctor on your treatment regimen’s specific fertility risk. 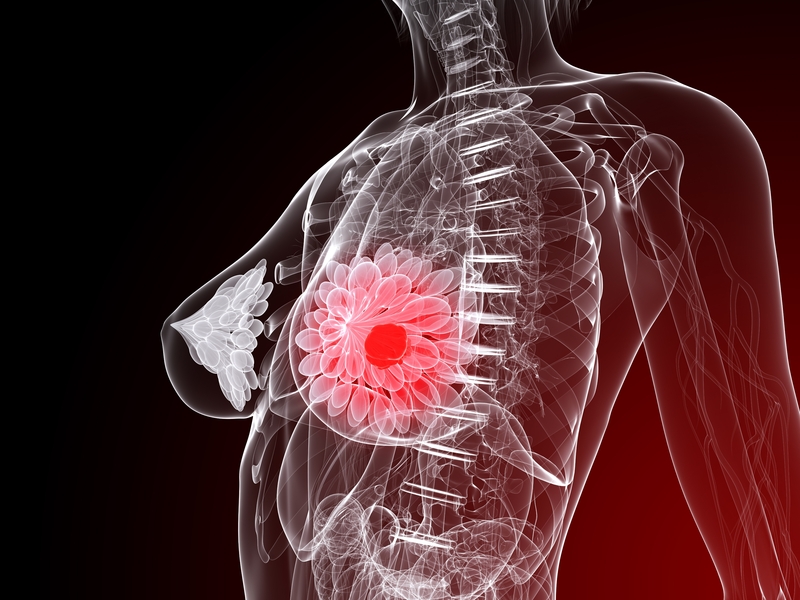 Targeted therapy is a relatively new treatment against breast cancer. It involves the administration of drugs that detect specific proteins in cancer cells, killing these cells off and leaving the healthy ones behind. Initially, it seems to be relatively safe to get pregnant about a year after targeted therapy. However, since the treatment is new, we still don’t know a whole lot about its long-term effects on pregnancy and fertility. This is basically the application of radiation on the location of the tumor to specifically kill cells within this area. This means that radiation is targeted so, in itself, it has no known effect on fertility. There may be a risk, however, that the radiation could affect healthy egg cells. But generally, the biggest risk with radiation is that sometimes it is given as an adjunct to other treatments such as chemotherapy. In this case, the effect of the other treatment on fertility must also be considered. Surgery is, as you may know, pretty much just the removal of the offending mass or tumor. Like radiation, this sort of treatment is local, although it usually comes in adjunct with chemotherapy. Again, you must consider the effects of both treatments before determining their safety. Also, it goes without saying that it’s also important to have a period of recuperation after surgery, rather than trying to get pregnant immediately afterwards. In some cases, you might want to postpone treatment for a few months in order to prepare for certain fertility options. If you want to freeze your eggs, for instance, you may have to go through a medication regimen that promotes multiple ovulation. This ensures that your doctor is able to collect as many egg cells as possible. However, in some cases it may not be advisable for you to wait any longer for treatment. Ask your doctor if it’s alright to postpone treatment for your specific condition. Another important question many women ask after breast cancer treatment is how long after treatment should they wait to get pregnant. Most doctors recommend waiting two years. This is because relapses usually occur within two years and, if this happens, it may complicate both pregnancy and treatment. This will also depend on your condition and the treatment that you received. In any case, the time you have to wait to get pregnant may factor in your decision as to which fertility option you might want to take. One other consideration that many moms want to discuss is breastfeeding. Basically, as long as you have at least one functioning breast, you are still likely to be able to breastfeed even after you’ve received treatment for breast cancer. However, if you get a relapse during this time, things may get a bit more complicated. This is because treatments including chemotherapy and hormone therapy can either seep into the breastmilk, causing harm to the baby, or affect breastmilk production altogether. One option you have if you would really like to have children of your own is to get your eggs frozen. These frozen eggs may be defrosted when you’re ready, and undergo in vitro fertilization. This is basically just conception that occurs on a petri dish rather than in the fallopian tubes. The fertilized egg is then transferred to your womb or that of a surrogate in the hopes that it will implant. Note that this procedure is not always successful. Sometimes it will take several tries before IVF results in a successful pregnancy. Surrogacy is basically having another woman carry your baby for you. Sometimes this can be done through transferring the fertilized egg that was a result of IVF to the surrogate. This means that the child carries your genes, but is only carried in the womb of another woman. In some cases, however, you might opt for the surrogate to be artificially inseminated. While a child through this process may not carry your genes, she can still be legally your child. Finally, one major option that you might want to consider at this point is adoption. Most women consider adoption as a last resort just in case IVF or surrogacy does not work out. Many prefer to have a newborn baby that is biologically theirs or, at least, their partner’s. But those who opt to adopt attest that the process of adoption can be as much a life-changing process as giving birth to your own child. It is also, in a way, giving birth albeit not in the traditional sense. In any case, your ability to get pregnant after breast cancer is still dependent on plenty of factors. But it’s important to note that there’s still plenty of hope that you will be able to. And even if you don’t, there are yet other options that are just as fulfilling.